Workout and Bodybuilding Supplement Reviews: N.O. ShotGun Pre-workout Review. N.O. 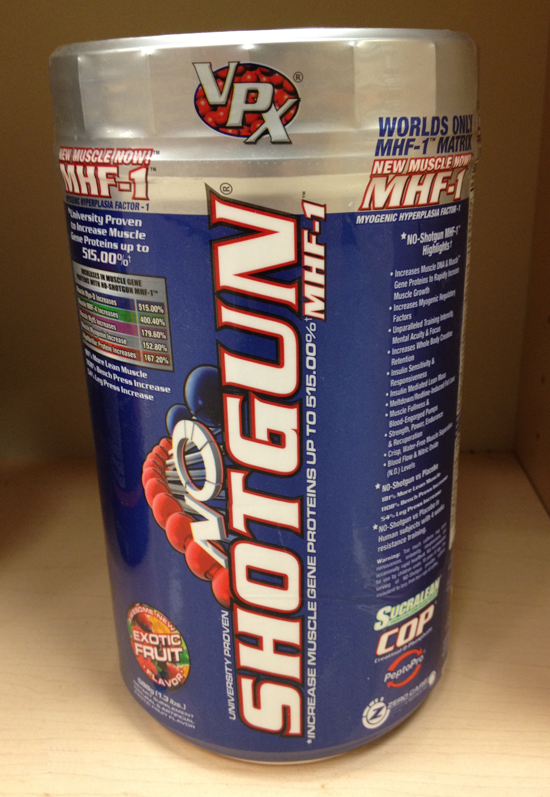 Shotgun is a powerful pre-workout supplement. Just like the famous N.O. X-plode, it should be taken carefully. I experienced the same results and side effects as with N.O. X-plode: Positive side effects like crazy muscle pumps, high energy levels, focus and more endurance. The negative side effects are jitters, higher heart beats, occasionally stronger heart beats and sometimes an upset stomach. In my opinion N.O. Shotgun taste better than N.O. X-plode. N.O. Shotgun taste more like juice.